In a city known as home to some of the sporting world’s biggest stars, few have ever shined as brightly as the Philadelphia Flyers’ Bernie Parent, and this autobiography shares how he became one of the most sensational goalies in NHL history. The catchphrase “Only the Lord saves more than Bernie Parent” became ubiquitous in Philadelphia as Parent won two Vezina Trophies as the league’s top goaltender, two Conn Smythe Trophies as playoff MVP, and two Stanley Cup championships, but this work shows how his on-the-ice exploits were only a part of his amazing story. After suffering a career-ending eye injury in 1979, Parent’s life took a turn for the worse, a time during which he battled alcoholism and watched his marriage end in divorce. In the end, however, facing the fears that had plagued him all his life led Parent to find solace and happiness once again. 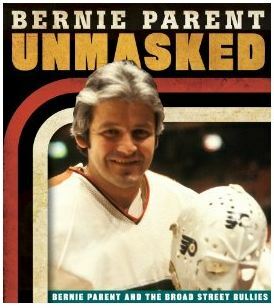 In Unmasked, Parent traces his life and career from his days as a youngster learning to skate to his current role as a Flyers ambassador and public speaker. Featuring rare photos from his personal archive and accompanying text from legendary Philadelphia sports columnist Stan Hochman, this life story gives Parent’s millions of fans a never-before-seen glimpse into the life of a hockey icon.